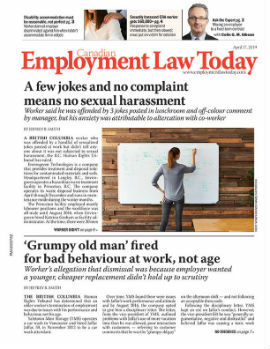 A Toronto transit employee who was fired after supervisors smelled alcohol on his breath at work has been reinstated by an arbitrator. Mark McIlroy, 36, was a spare non-clerical employee for the Toronto Transit Commission (TTC) who was hired in 2005. He was a part-time worker who performed the duties of several jobs, depending on what work was available on a day-to-day basis. On May 4, 2010, McIlroy was scheduled to be a ticket agent order driver, which involved driving around Toronto distributing transit tickets, tokens and passes to stores and other vendors who sold the items. When McIlroy showed up for work on the morning of May 4, 2010, a co-worker thought he smelled of alcohol. Since he was about to get behind the wheel of a work vehicle, she reported it to a supervisor. The supervisor went to the loading dock and found McIlroy getting out of a car that he had backed up to the dock for loading. She moved closer to his face and could smell a strong odour of alcohol, despite the fact McIlroy was trying not to exhale — or so she thought. The supervisor also claimed McIlroy had bloodshot eyes, though he didn’t show any characteristics of intoxication.